← Cracker Jack Diamond Ring? We were featured on JCK Magazine! 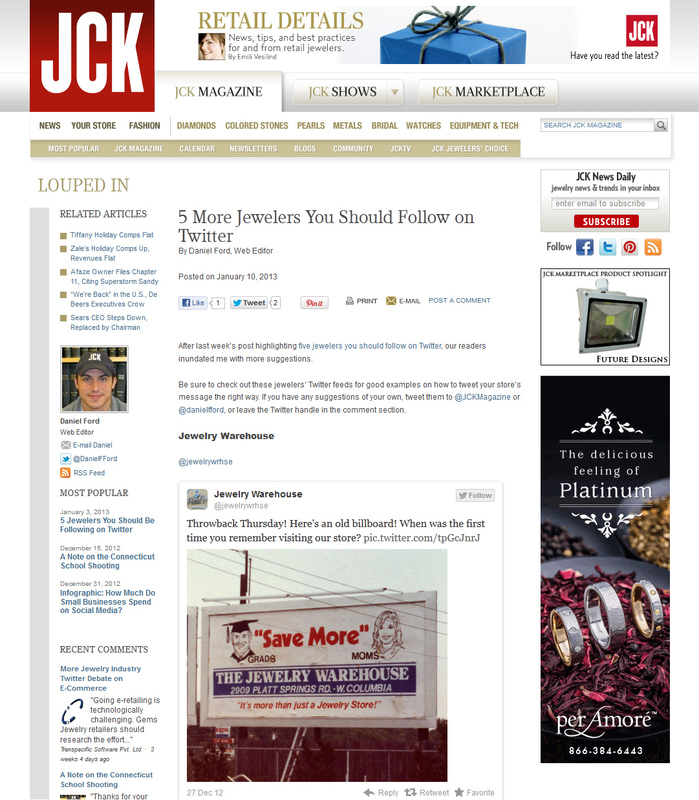 I was excited to discover that we were mentioned as one of the Jewelers to follow on Twitter by JCK Magazine! Thank you @JCKMagazine! This entry was posted in Jewelry, Jewelry News, Uncategorized and tagged jck, jck magazine, jewelry mag, jewelry warehouse, magazine. Bookmark the permalink.